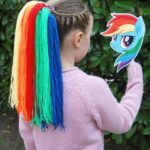 We have another fantastic craft for our My Little Pony fans today! 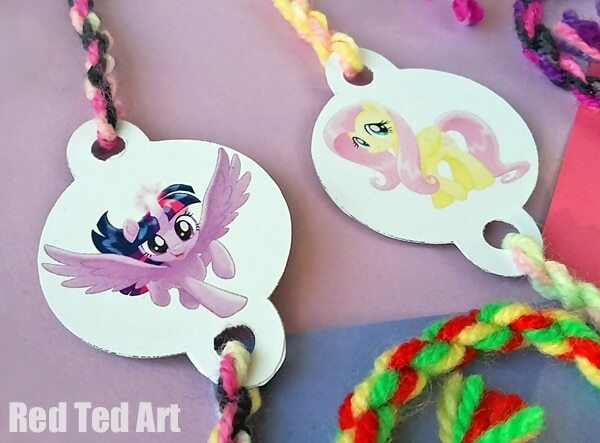 To celebrate the Blu-ray, DVD & Digital Download release of My Little Pony: The Movie on 12th February, we will be making bracelets that are pretty magical! 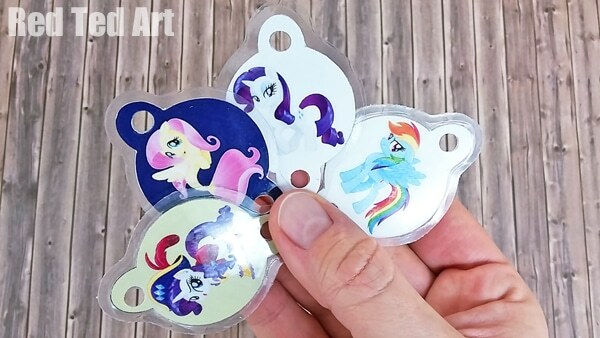 You can flip the charm and with it turn your favourite mane 6 pony into a sea pony or pirate! 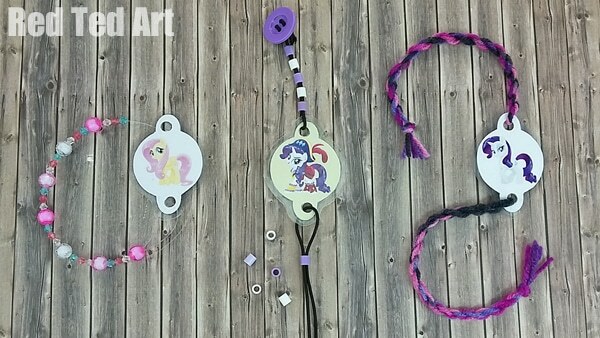 We will also show you how to make a twisted yarn rope to make this MLP bracelet. 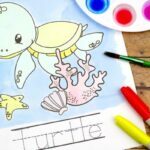 It’s a fun craft, easy and your kids will love one step in particular. They will be hooked. 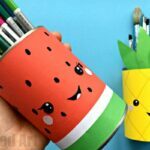 So be prepared to make many such bracelets! Best to stock up on that yarn! 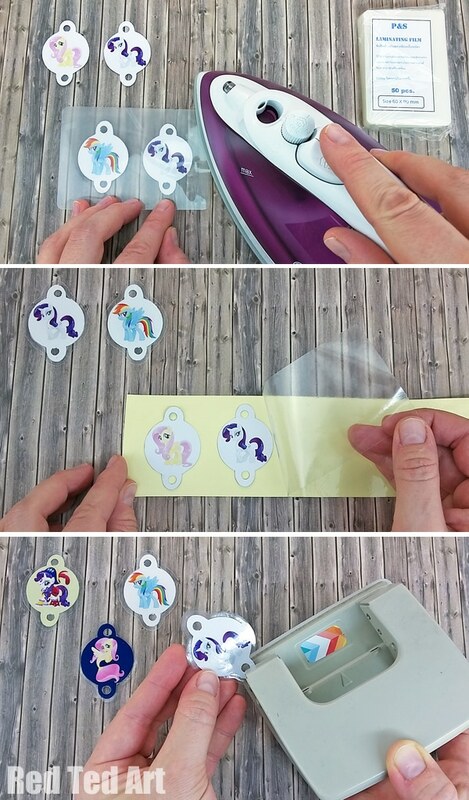 Download the printables and start cutting out the charms. 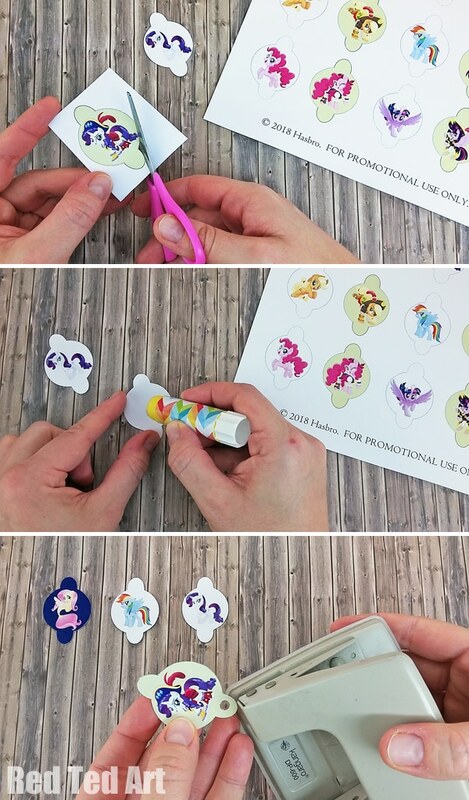 Then glue the corresponding front and back of the charm together. 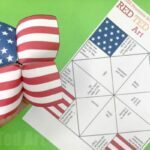 Let it dry! When dried punch a hole on each side of the charm. 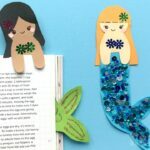 If you prefer laminating or adding contact paper to your charm for longevity then keep on reading otherwise head straight over to How to make a yarn rope! If you want your bracelet to last longer you might want to choose to laminate or add contact paper to your charm. 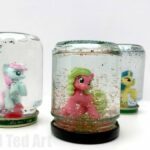 Don’t forget to punch holes again afterwards! 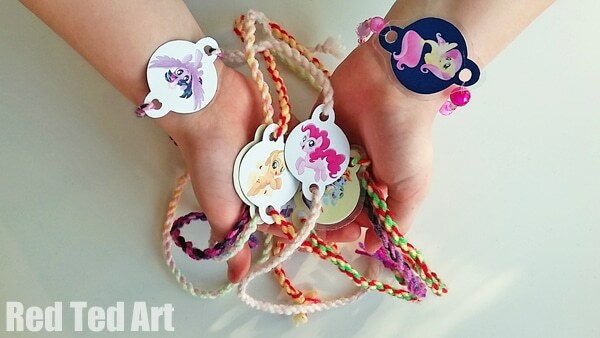 There are of course many ways to make your My Little Pony charm shine and turn into a bracelet. 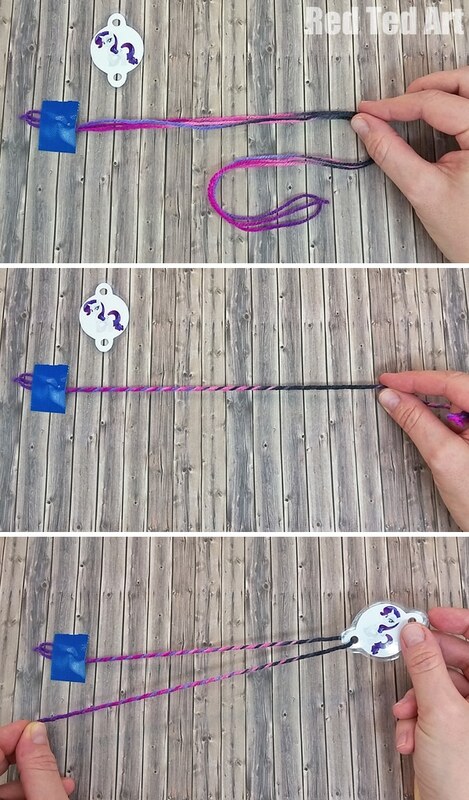 But do make sure to use elastic materials as this will make it possible to turn the charm! For a smaller wrist cut of 3 strands of yarn with appr. 50cm length. 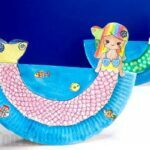 80 cm of length will make fixing the bracelet with a bow to the arm wrist easy. 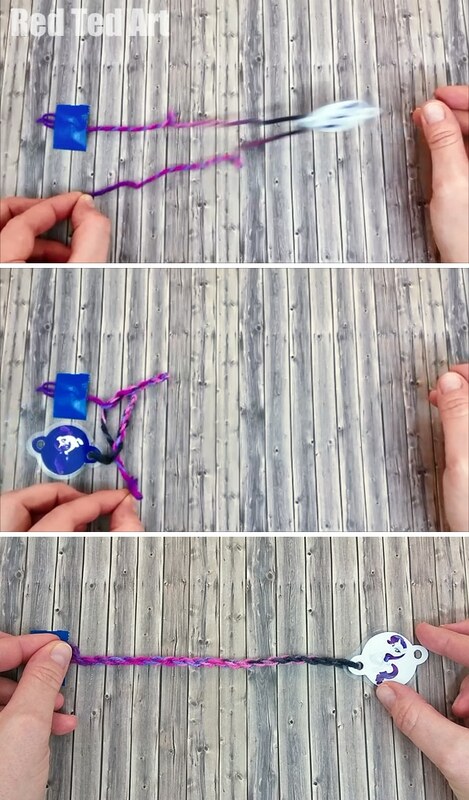 Make a knot at one end and tape it to a surface. The yarn now stays in place for you to twist it. Keep pulling it gently while twisting. Hold on tight to the twisted yarn and add the charm. Bring it to the middle of the twisted yarn and the end you twisted towards the other end of the yarn. Unfurl the rope and twist a little more to help smoothen out any bumps. Knot the loose end and repeat for other side of bracelet. 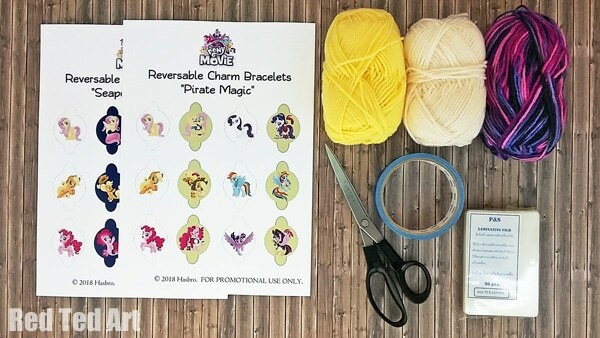 You can of course add all sorts of other beads and ribbons to make your own My Little Pony reversible Friendship Bracelets! 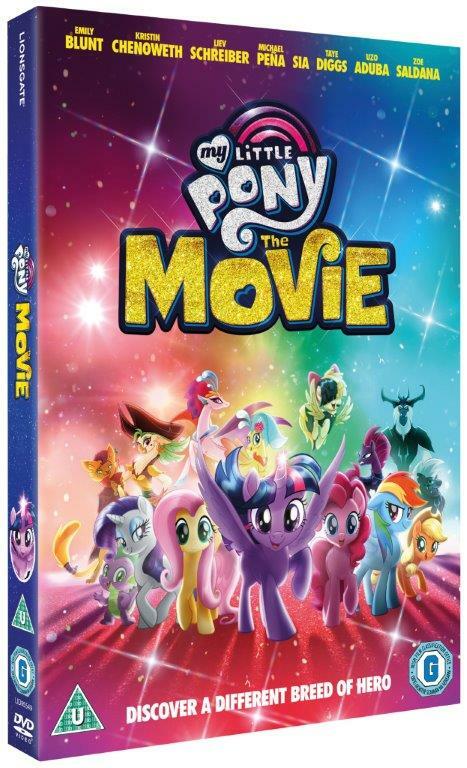 Don’t forget that My Little Pony: The Movie is now available on Blu-ray, DVD & Digital Download on 12th February! 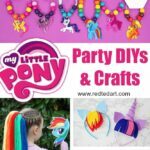 You may also LOVE our My Lttle Pony: The Movie Party Craft!! !